This snake was photographed at the California Academy of Sciences in San Francisco (at the temporary location on Howard St.). I don't know what kind of snake it was. 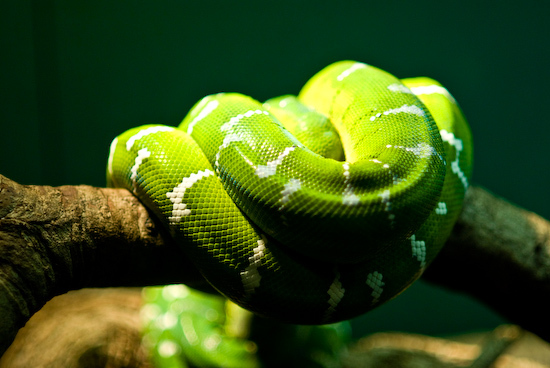 I believe that's an emerald tree boa (http://en.wikipedia.org/wiki/Corallus_caninus). Great picture! Thanks! I forgot to record the species of the snake when I photographed this two years ago.